The flooring you choose can drastically alter the look and feel of your home, therefore it’s important to tailor your choice to meet your preferences. Timber flooring associates itself with a classic, timeless appeal. 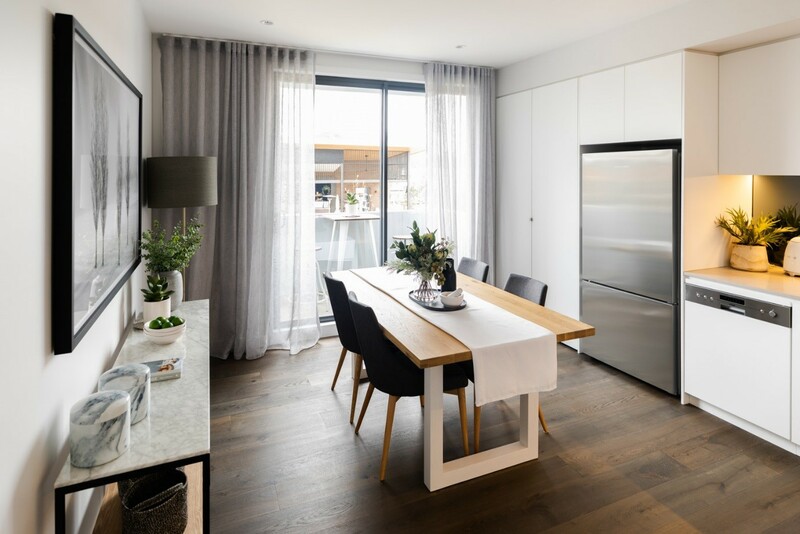 When it comes to choosing the timber flooring for your development, oak is always a popular option, the real question comes about when deciding between solid or engineered flooring. 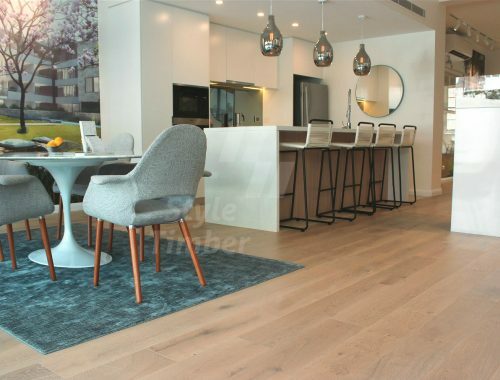 Here are a few reasons why engineered oak flooring could be the perfect choice for you and why it is fastly becoming a preferred choice by architects and developers. What makes engineered oak boards stand out against solid timber oak is there high level of adaptability. Whether you are looking to create a bespoke colour tone or board top layer thickness, this can be achieved in a stunning way allowing these planks to be fitted in a wide variety of rooms. One advantage of using engineered boards over solid oak is its construction. The multiple layers which make up an engineered timber plank offer the ultimate in strength and durability meaning that your floors are less prone to warping, buckling and moisture damage compared to solid timber. These planks can withstand decades of wear making them the perfect addition to any commercial or residential space. There is a big misconception attached to timber flooring surrounding costs. We recognise that if there’s one thing that gets in the way of development projects, it’s the cost and budgets. Engineered flooring provides a friendly cost effective solution compared solid oak and even tiles and carpet. Indistinguishable in appearance, engineered oak boards are fitted with only a surface layer of solid wood, which can be adapted in thickness, rather than being composed entirely of real wood timber. This cuts down on expenditures and turn-around times so you can enjoy the stunning textures of oak flooring without breaking budgets. Not only is Engineered oak cost-friendly it is also environmentally friendly! Unlike solid oak, by using only 3 to 7 inches of oak wood as a top layer veneer, you will only be using a small portion of the tree, unlike solid oak wood which uses the majority. The compressed core of engineered flooring utilises waste wood and pulp, using fewer materials during the construction process. When choosing Engineered oak, you’re opting for a truly sustainable product. There has been a growing consciousness surrounding the environment, with it never being more important to start making greener choices with every aspect of your lifestyle, including your flooring. Engineered wood flooring is available in a range of styles, finishes and widths allowing you to have more flexibility with the final look of your flooring. The multi-layered construction allows them to adapt to any space with ease. Using wider planks can create an instant impact on the aesthetic of a room. Giving a space more texture and variety, wider boards are becoming a designer’s top choice. Not only can they create a unique feel and ambience they have the ability to give the illusion of more space. Not only do engineered floors look stunning when installed, but the variety of options available also allows you to really personalise your project from the floor up. Engineered oak is designed to be incredibly long-lasting, it is intended to last longer than your lifespan in your home with limited maintenance required. Due to it being a dense hardwood it has incredible durability, making it the perfect option for high-traffic commercial or residential areas. Getting the textures, looks and feel of solid timber through the top hard coat there isn’t any reason why you should not consider engineered timber as your next flooring choice.